Hello Dear Readers, we’ve been a bit busy since finding out the most reliable unlock provider for all iPhone models. 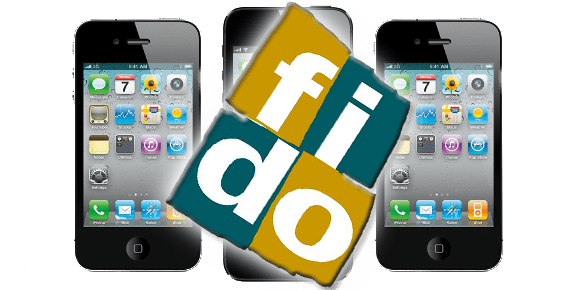 As you may know that unlocking a Fido iPhone is not easy as it sounds, but our recommended service can get this done without any worries or hassle. For those who have been living under a rock and don’t know how a proper unlock is done, it’s achieved through a factory unlock solution. After the process gets completed, the owner of the device can update the baseband or iOS firmware at any point in time. There is no need to worry of relocking, as this is not a software solution or a one-time solution that will get the device locked after the update. Today, we’re writing for Canadian based iPhone owners who are on the Fido network. You guys can now go ahead and unlock iPhone 8, 8+, X, 7, 7+, 6S, 6S+, 6, 6+, SE, 5, 5C, 5S, 5 and 4S on any baseband or iOS firmware including the newest released firmware. iPhone 3G and 3GS: For these two models, the list features 05.16.08, 05.16.05, 06.15.00 and some others basebands. iPhone 4: For this model, the list features 4.11.08, 04.12.02, 04.12.05, 4.12.09 & more basebands. iPhone 4S: For this product, the list features 1.0.11, 2.0.12, 3.4.03 & 5.0.02 baseband. iPhone 5: We can unlock the following basebands 1.00.16, 1.01.00, 3.04.25 and 5.02.00.
iPhone 5C / 5S: We can unlock baseband 1.03.01 and ANY new baseband. iPhone 6 / 6S: On any iOS firmware and baseband. iPhone 7 / 7 Plus unlock on any iOS version and baseband. iPhone 8 and 8 Plus on any new and old iOS firmware version. iPhone X unlock from Fido on any iOS version (new and old). First of all, get your IMEI number in check. Note it down by going to General > Settings > About Phone. After this has been done, go here to check if you’re eligible or otherwise. The solution is going to be permanent and will be performed through iTunes. The IMEI number that you’re going to give out will be marked as unlocked in the database of unlocked devices. After this has been confirmed, you’ll receive an unlock confirmation e-mail with instructions, and you can just connect the Fido branded iPhone 4, 4S or 5 to iTunes and that’s it. Feel free to leave comments if you need any additional information about Fido Canada iPhone 7, 8, 6, 6S, SE, 5S, 5C, 5, 4S, 4 official & factory unlocking process.